my grapefruit tree was producing 300+ grapefruit for several years. suddenly it died. what could be the cause? 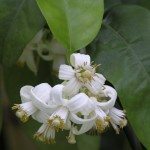 There are several possibilities for the death of your grapefruit tree. Diagnosis would require more information on the site, growing conditions, your soil fertility/fertilization, water and pest management. 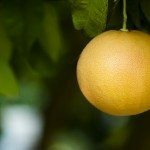 In Florida, HLB (citrus greening disease) is a real possibility. It's a bacterial disease spread by an insect vector, the asian citrus psyllid. Some other common citrus issues that are serious enough to cause mortality are water related, too much or too little. Severe water deficit can be fatal; over-watering can cause root and crown rot. Other possibilities include root cutting or compaction from construction disturbance, sewer repair excavation, weed killer or other chemical contamination of the soil or foliar crown, paint or fuel spills.